A collection of air fryer recipes for main course meals, side dishes, appetizers, fries and even dessert! This handy appliance gives you the same crispy texture of deep frying without all the oil and calories. Have you purchased an air fryer yet? I am so in love with this small appliance that it has a permanent place on my countertop. The air fryer is simply amazing! There are literally thousands of air fryer recipes you can make. We use it at least once a week, my kids especially love air fried chicken tenders and of course, who can resist french fries. You really could go without any other small cooking appliance as the air fryer can be used for breakfast, lunch and dinner. You can even make desserts in an air fryer. Crazy, right? It seems all the craze right now is healthier, less greasy foods. The air fryer is perfect for this as it uses hot circulated air to cook the food which means you get that great crispy texture without the fat. In fact, most air fryer recipes use 70-80% less oil than you would use if you deep fried instead. 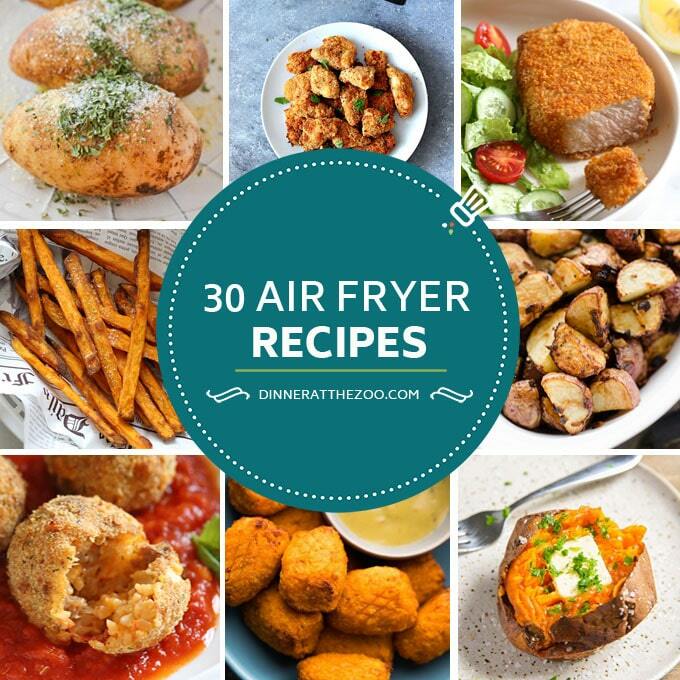 To make things easy for you I have gathered up 30 of my favorite air fryer recipes for you to start with. You can cook almost anything in the air fryer from french fries, to chicken wings, to lava cake. Air fried food is definitely healthier than its deep fried counterpart. However, many air fried foods still contain high calorie ingredients like cheese and butter, so you should evaluate each air fryer recipe on a case by case basis to see if it is indeed healthy. The biggest benefit to the air fryer is getting that deep fried crispy texture without using cups and cups of oil. The air fryer also offers easy clean up, and because the hot air circulates, it makes the food crispy all over instead of just on top like a traditional oven. I’ve never heard of an air fryer!! I need to check it out! 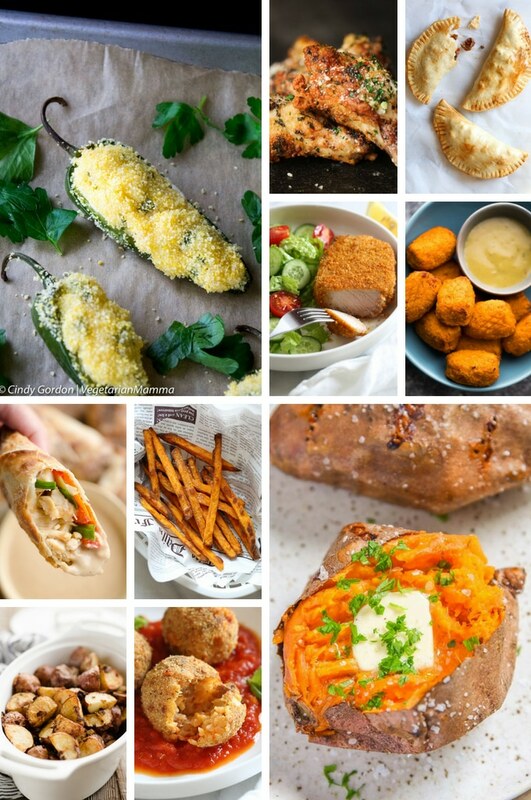 I so need to get an air fryer for my home, I am loving these recipes! I fon’t have any air fryer yet and I guess this is a great reason why I need to purchase and have one. Definitely saving the link so I can have these awesome recipes. We used our oven as air frier and had the same result for the potato chips, since buying a new appliance is not cost effective for us. The chips turned out crispy and having the right texture we imagined. I fell in love with Air Fryer! You convinced me to have one. And all those dishes look so inviting! wow, so many ideas! I use my air fryer mainly for fries. Thanks for sharing these yummy ideas. I want an air fryer so badly! 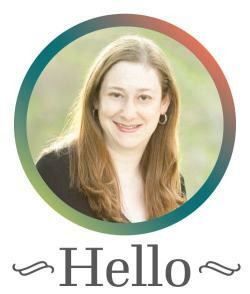 I’m going to bookmark this for when I finally get one! We haven’t gotten one yet! This might just get me to get myself in gear and get it ordered. Thank you for posting this. I just got a new air fryer and I was looking for good recipes. You have made it easy for me. I have to admit I don’t have an air fryer but I think you might have just convinced me to invest! This is such a great round up of different ideas. Out of all the up and coming new kitchen gadgets, I can see myself using an air fryer over an instant pot any day of the week. These all sound so delectable! 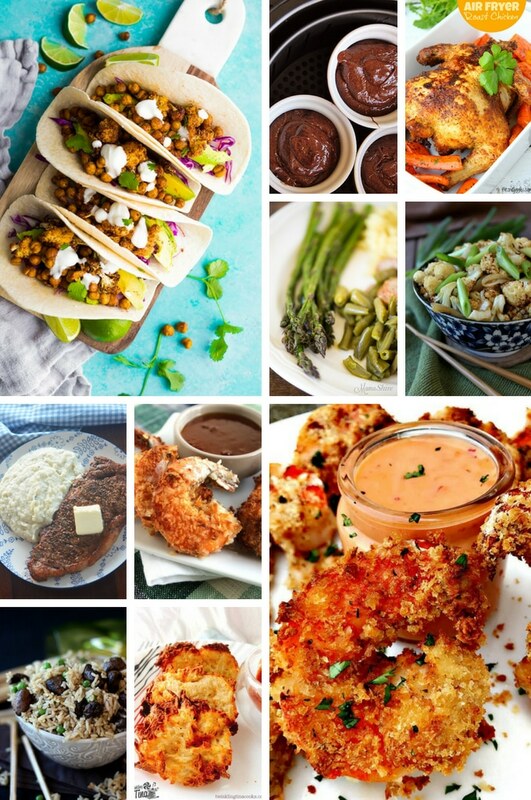 I need to buy myself an air fryer and get busy trying all these delicious recipes. I’m crazy about fried foods, but I need to cut down on all the calories and fat. I have never tried anything from an air fryer. I’ve always been worried about stuff with high fat when it comes to frying, but it sounds like it is unwarranted with this air fryer. I am excited to try it! I did purchase an Instant Pot that sits on my counter and hasn’t been used and I keep seeing Air Fryers and have been thinking of getting on of them as I think it would take the place of our Deep Fryer and be healthier. Got one. Love mine. Takes some trial and error but I rarely use my oven any more. It’s wonderful and of course THE BEST FRIES EVER. I think you just convinced me to get an air fryer. 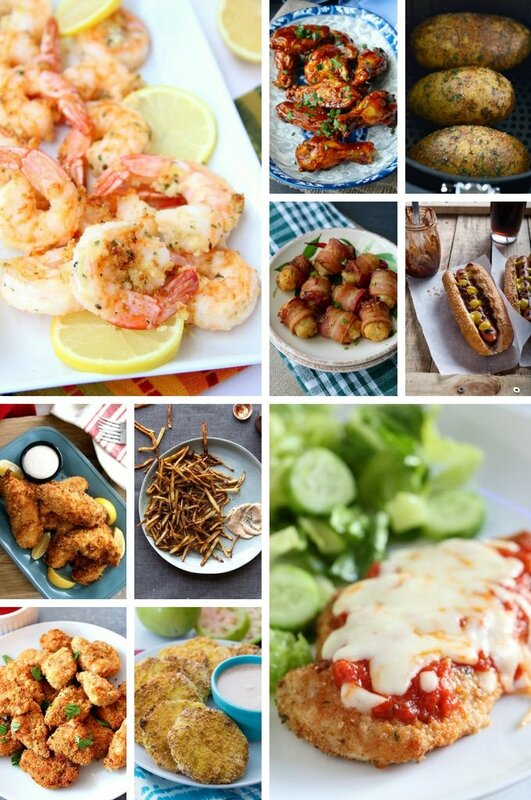 That shrimp in the air fryer looks so yummy as do all the other recipes. I don’t have an air fryer but have friends who do and they love theirs. My daughter included. Will have to share this post with them so they can make some new food to make. I need to get one of these for my husband. I think he would like an air fryer.